There’s a spot in my traveling heart that loves quirky finds. Don’t get me wrong, just about every destination has must-sees that visitors will plan their days around, but sometimes it’s the kooky finds that bring an unexpected smile to your face. Case in point, Delft— about a half-hour’s drive from Amsterdam, this quiet spot oozes Dutch charm. With bikes and canals at every turn, it’s easy to come home with hundreds of pictures. Delft is where Johannes Vermeer spent his life painting. It’s where Delft Blue pottery has been produced by hand since the 17th century and where a World Cup soccer match draws a crowd to the Market, or Market Square, to watch the game and then maybe kick the ball around afterward. 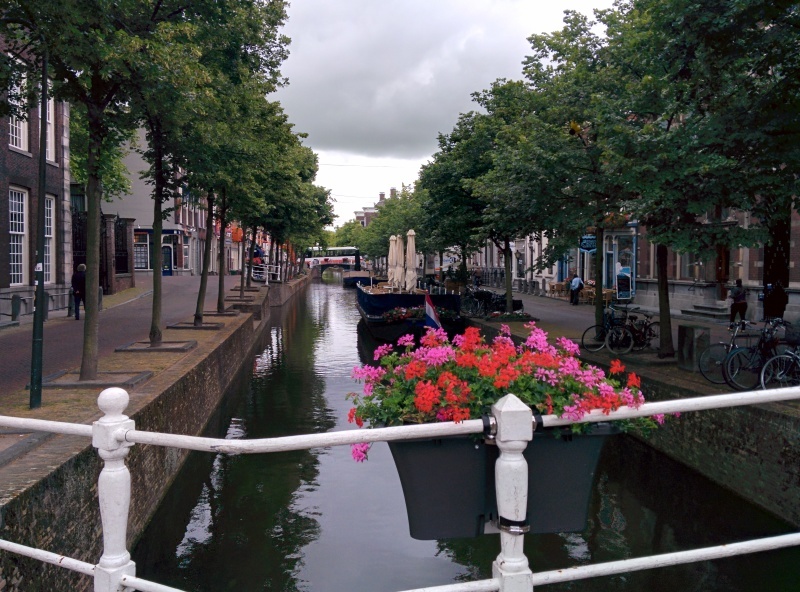 Delft is the type of place where you can catch your breath, wander, and enjoy. It’s also a fun place to try new things like a Dutch pancake or better yet, their sweet version of morning toast. It’s warm toast with a good serving of butter, topped with sprinkles, yes, sprinkles, the same kind you put on cupcakes or ice cream. The butter and sprinkles melt and combine, so you get the idea how the end result will taste. 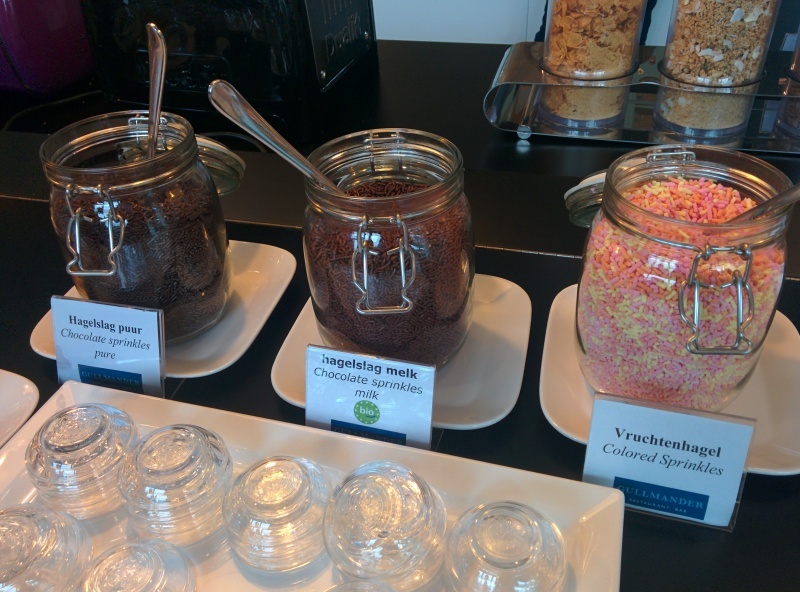 You choose the flavor; dark chocolate, milk chocolate or rainbow-esque fruit sprinkles. Who needs caffeinated coffee when you can have chocolate sprinkle topped toast? 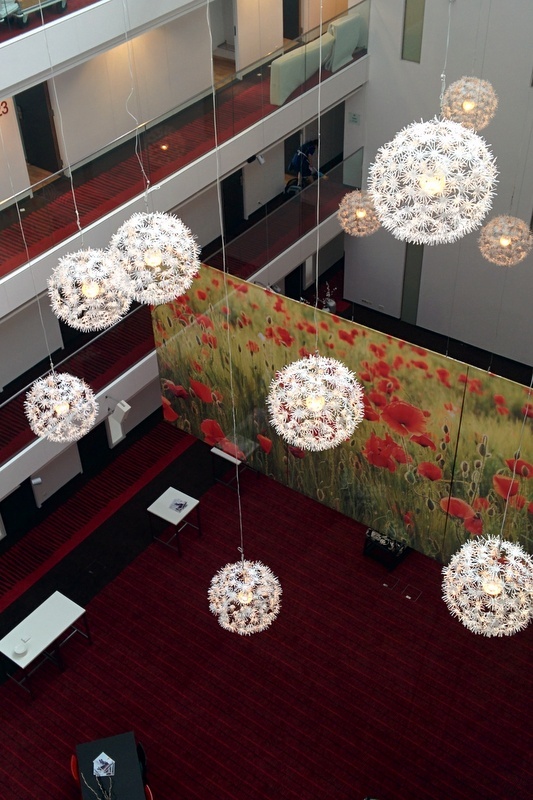 It was just one of many discoveries I made at my hotel, WestCord Hotel Delft. If you do a quick internet search for the hotel, you can learn the basics; it has 140 rooms and free wireless internet, but dig a little deeper and you’re in for some fun. 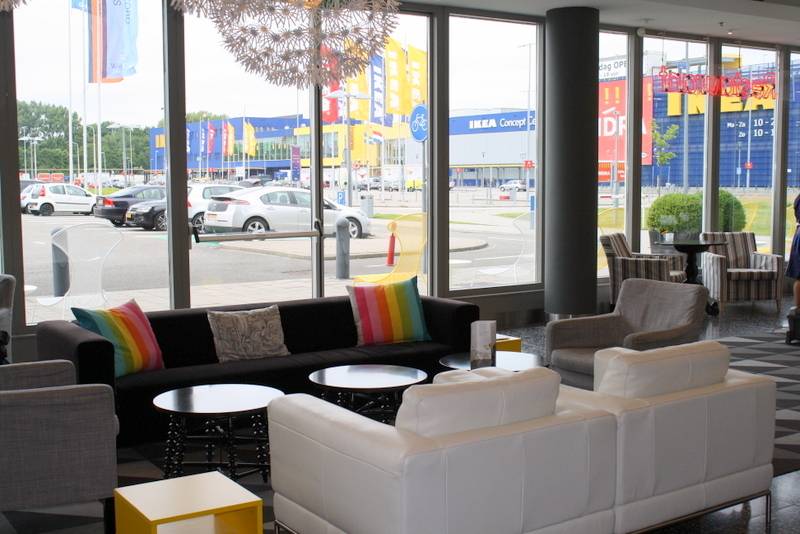 What I didn’t know about Delft is that it is home to the IKEA Concept Center, which for most visitors simply means there’s a huge store. The store isn’t dramatically different than what you’d find in their numerous other locations, but they do sell milkshakes and the ice cream cones are self-serve. 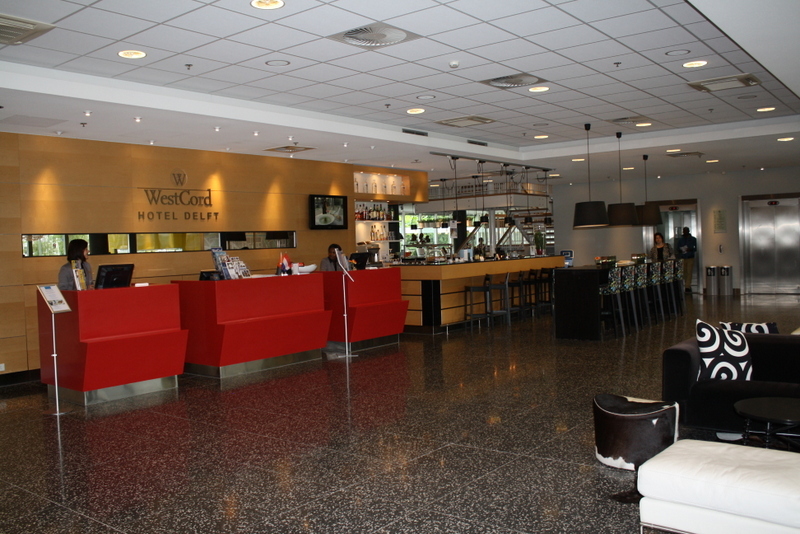 However, the store is located just across the parking lot, albeit a very large parking lot, from WestCord Hotel Delft. Is there a neighborly influence? Absolutely. 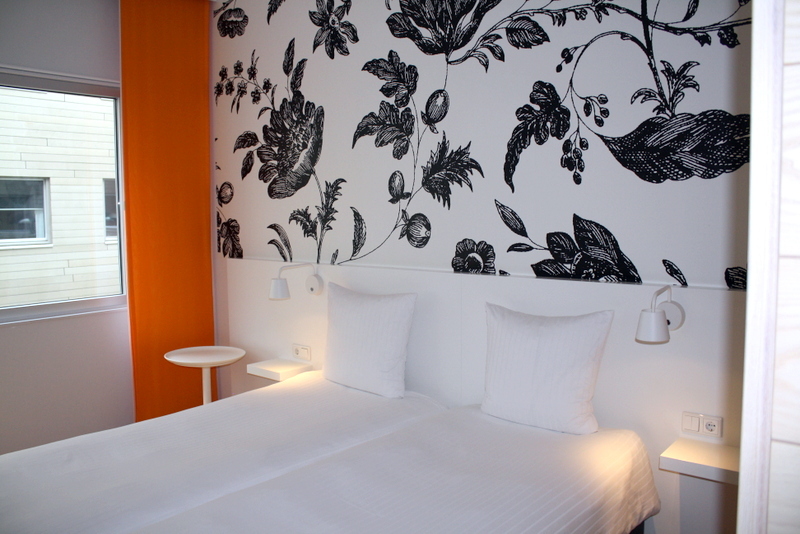 The entire interior of Hotel Delft is designed by Ikea. You see it as soon as you enter the lobby. Bright and colorful, maybe a bit unorthodox to some, but a whole lot of fun to see the concept put into practice on a large scale. When I arrived, about 10 a.m., I was fresh off a 10 plus hour flight and I had less than an hour before I had to be on the move. So I didn’t linger long in the lobby and I was oh so grateful that my room was ready, allowing me to head straight to it. After sneaking a peak at some pictures online, I was more than curious about what my room would look like. Zany? A bit. Colorful? Yes. Great use of space and everything I needed? Definitely! It’s like sleeping in IKEA. I think it’s the first time in a hotel room where there were more hooks than I actually needed. Typically there’s never enough, especially if you’re traveling with your family in tow. The bathroom is a good size, but the set-up is different than most America travelers are accustomed to. There’s no bathtub; the shower floor and bathroom floor are one and the same and the shower is not fully enclosed by a curtain. A small glass door contains the splash zone. Fully functioning, with plenty of hot water, it uses bathroom space wisely. There’s also a gym and sauna, that I had pretty much all to myself during my stay. The hotel is a good walk, about 20 minutes or so, from the center of Delft, so I’d plan on either a car or using taxis. Does it fit into the luxury hotel mold? Definitely not. The WestCord Hotel Delft doesn’t fit into any mold which is what makes it fabulously fun and a comfortable place to call home, even when you’re trying to work through jetlag. Dana’s trip to Delft was organized by the Netherlands Board of Tourism & Conventions, but as always her thoughts and opinions are her own.